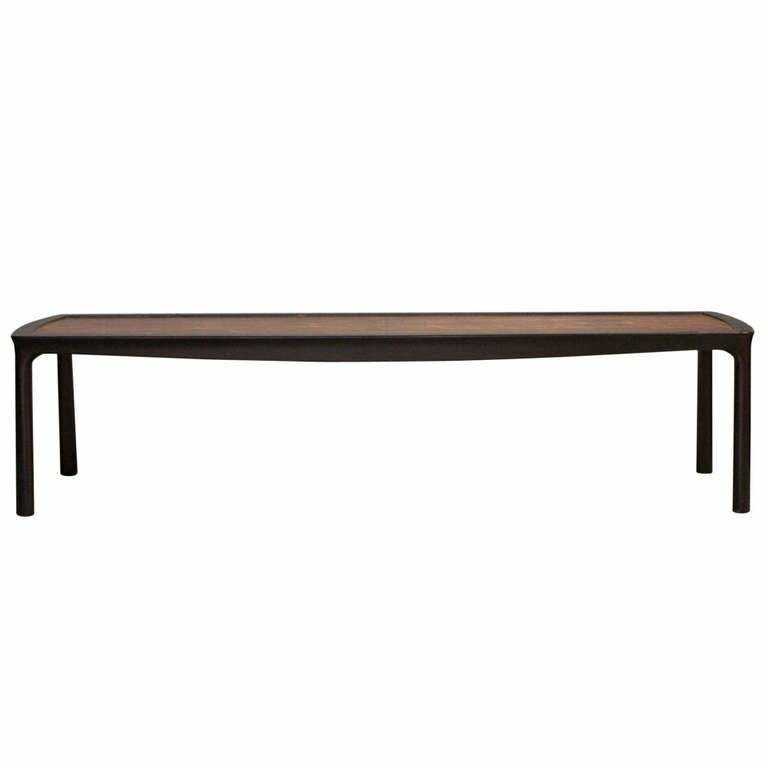 A large scale coffee table with dark Mahogany frame and Rosewood top. Designed by Edward Wormley for Dunbar. Matching lamp table also available. 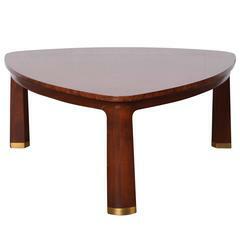 A triangle shaped table with Carpathian elm top and sculpted mahogany legs with brass feet. Designed by Edward Wormley for Dunbar. A large walnut and burl coffee table with brass feet. Designed by Edward Wormley for Dunbar. 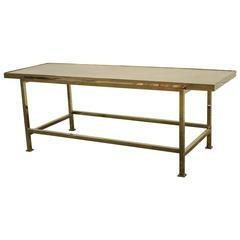 A polished brass table with original cream colored leather inset top. Designed by Edward Wormley for Dunbar. Edward Wormley coffee table for Dunbar. Table has an elm top and solid brass feet. Asymmetrical Edward Wormley for Dunbar coffee table rounded beveled top on three conoid legs by a curvilinear brass stretcher, flaking to glass around. 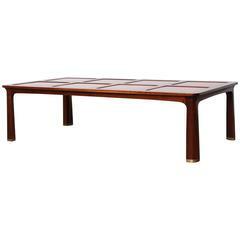 Classic coffee table designed by Edward Wormley for Dunbar, circa 1950s. Fully restored. A mahogany low table with two 12" lateral pull-out leaves.